Each face covered with large asanoha (see No. 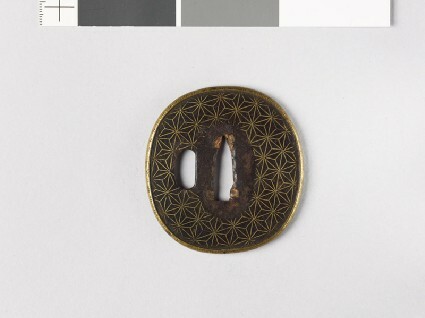 136 [EAX.10136]) in brass wire inlay; brass rim, its edges lightly chased with lambrequins. A very similar guard was given by Sir Arthur Church to the Victoria and Albert Museum.